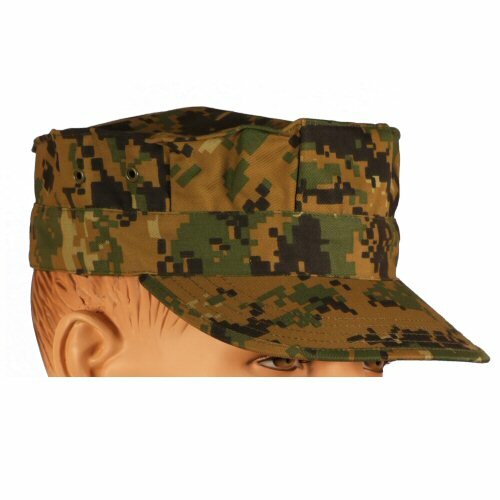 USMC style 8-sided garrison cap (cover) with peak in current issue USMC digital woodland camouflage by Bulle. The hat is made of nylon-cotton twill to match with the Bulle Digital Woodland shirts and trousers. The cap shape is faithful to the original. 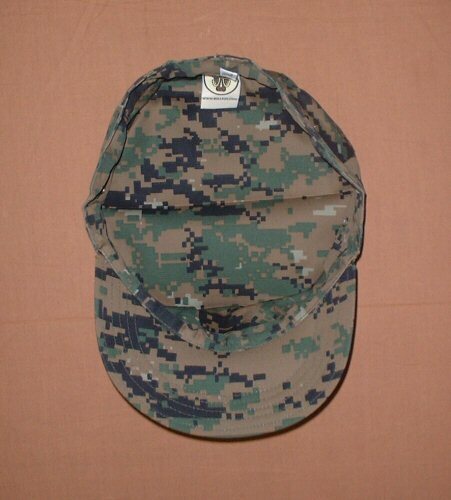 Please note that USMC logos are not included on this hat. Please note: we strongly recommend purchasing one size smaller than your usual hat size in order to get the right fitting. 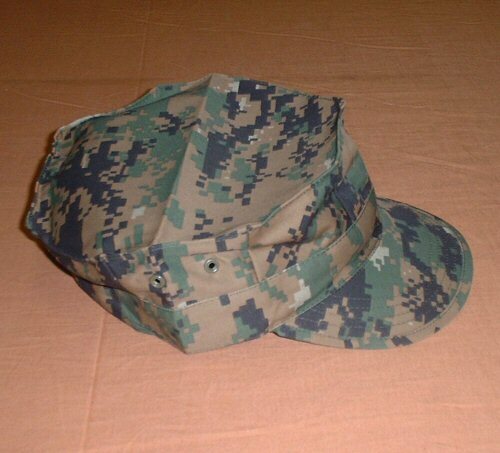 These hats are meant to sit high on the head, unlike the boonie hats. Peak has become brittle and cracks, hence low price. Available options are: XL , XXL . Top side view of the cap, showing the ventilation holes. Interior view of the cap.